While world-class museums and historical sites beckon many tourists to our nation’s capital, Washington D.C. also boasts a vast array of outdoor opportunities. Its public lands are visited by more than 275 million travelers each year—many of whom come to explore the area’s 13 diverse national parks, from the marshy banks of the Potomac River to the Piedmont plains of Virginia’s Blue Ridge. But as any outdoor enthusiast knows, the fight to protect public lands—around D.C. and beyond—has become more spirited than ever these days. Along with my co-author, Rachel Cooper, I had the privilege of digging deep into the fascinating history of D.C. parks and public lands, and the people who have made accessing them possible, for the third edition of the guidebook 60 Hikes Within 60 Miles of Washington D.C. The last edition of the book was published 10 years ago, and during that time much had happened both locally and nationally as the Obama Administration created new national monuments totaling 550 million acres to supplement America’s collection of treasured heritage sites. Today it's more important than ever for outdoor lovers to not only take advantage of these vast national treasures but to do what they can in protecting them. 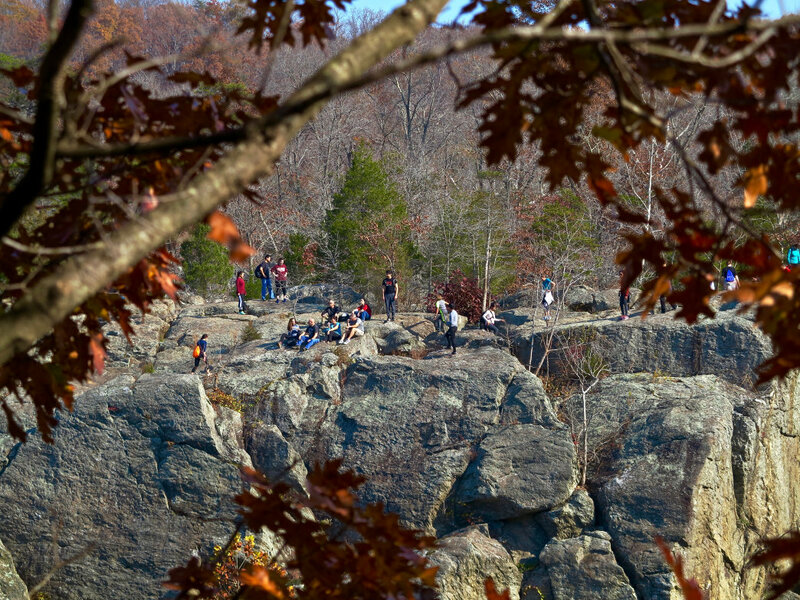 Here, a look at four must-do historical hikes around D.C.—and why they’re more relevant than ever. Whichever you choose, keep an eye out for bald eagles as they soar above the trails—a fitting image for having the freedom to explore and enjoy these stunning spaces. One of Washington D.C.’s most famous sites is its iconic National Mall: the 2.2-mile stretch between the Capitol and the Lincoln Memorial where majestic national memorials and Smithsonian museums are housed. This popular spot traces its roots back to 1791, when President George Washington set aside some swampy acreage north of his home at Mount Vernon to develop the National Mall. Referred to as "reservations," these tracts of land eventually became President’s Park, the White House grounds, the site of the U.S. Capitol, and the 555-foot-high obelisk named for the first president, the Washington Monument. 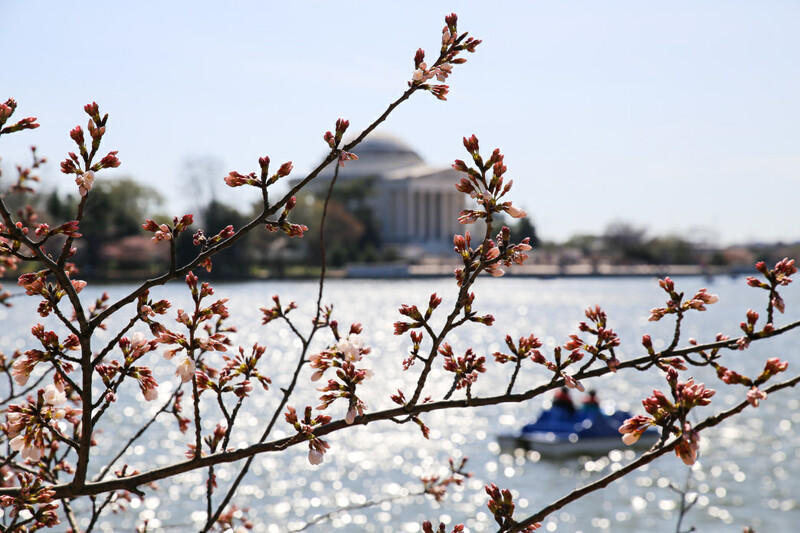 The four-mile loop trail winds around the manmade Tidal Basin where you’ll pass the Jefferson Memorial, Franklin D. Roosevelt Memorial, Martin Luther King Jr. Memorial, Lincoln Memorial, World War II Memorial, Vietnam Memorial, and Korean War Memorial. In the late 1800’s, the federal government was moving quickly to designate lands for national parks. 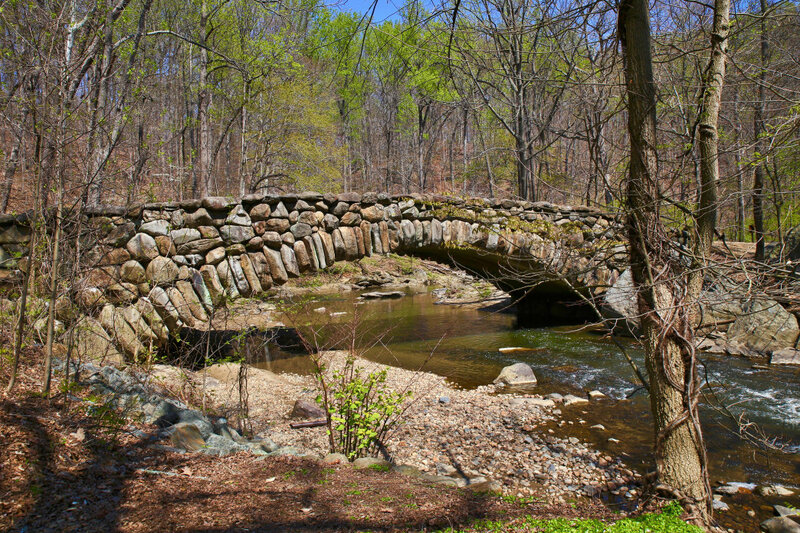 Right after Yellowstone and Mackinac National Parks (no longer a national park), President Benjamin Harrison established Washington D.C.’s Rock Creek Park as the third national park in the nation. Says Litterst: "In the course of one week, Sequoia National Park and Rock Creek Park were authorized as public pleasuring grounds, about four days before Yosemite." This urban oasis spans 1,754 acres of land on either side of the rushing creek that gives it is name and remains heavily forested. Despite two million visitors annually, the park rarely feels crowded, and outdoor lovers can take advantage of the rocky landscape on hilly, challenging hikes; historic sites, horse parks, a planetarium, and an old mill add to the attractions. Fort DeRussy and Fort Stevens, both built to protect the city during the Civil War, are within its boundaries and recommended stops for history buffs. In addition, design aficionados may appreciate that the picturesque park was landscaped by the sons of the architect who designed Central Park in Manhattan: Frederick Law Olmsted Jr. and John Charles Olmsted. 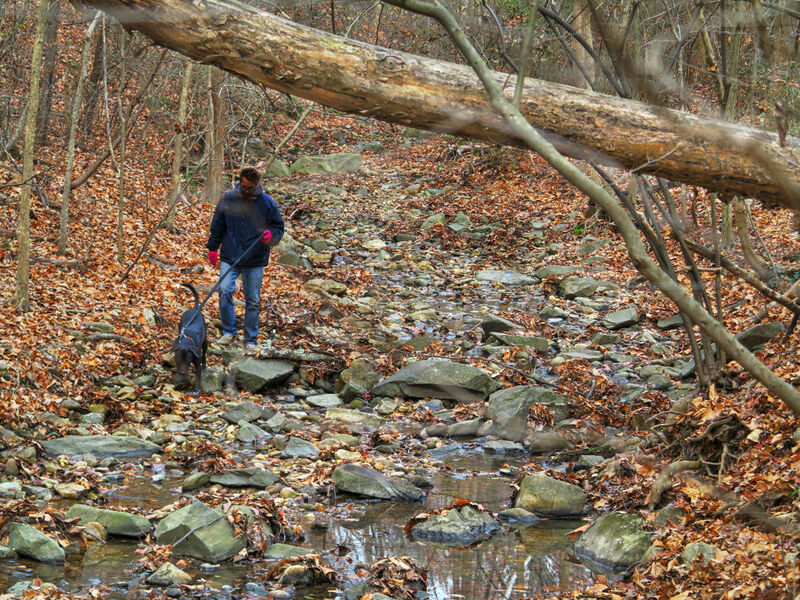 Easily accessible by public transportation, Glover Archbold Park Trail is part of Rock Creek Park’s network of trails. The trail is named for Anne Archbold and Charles Glover who resisted plans to develop a commuter artery in the middle of Washington D.C.’s suburban neighborhoods. In 1924, Glover, a banker and land speculator, contributed 77 acres to newly-formed National Capital Park and Planning Commission. Archbold, an early feminist who lobbied on behalf of the National Women’s Party, added 22 acres of her land, which was being used to to train German shepherds as police and seeing-eye dogs. The woods, wildflowers, and bird life thrive inside this haven, despite overpowering development all around it. The 6-mile out and back hike is a longtime favorite among locals, including Rachel Carson, the conservationist who regularly hiked this trail. Her book Silent Spring brought to light the dangers of pesticide use on the natural world, and a plaque along the trail recognizes her contributions to the environment. After President Dwight Eisenhower began building the National System of Interstate Highways in 1956, another fight for public lands took place. Supreme Court Judge William O’Douglas used his influential voice and a clever publicity stunt to protect the parcels of land around the Potomac River from becoming a parkway. He convinced nine news editors to walk the entire 184.5 miles of the Chesapeake and Ohio Canal Towpath with him—from the mountains of Cumberland, Maryland, to the historic D.C. neighborhood of Georgetown. The result: The Washington Post and other media joined the support for transforming the land into the C&O Canal National Historic Park, established in 1971. Today, the C&O Canal is an essential D.C. landmark and nature destination. 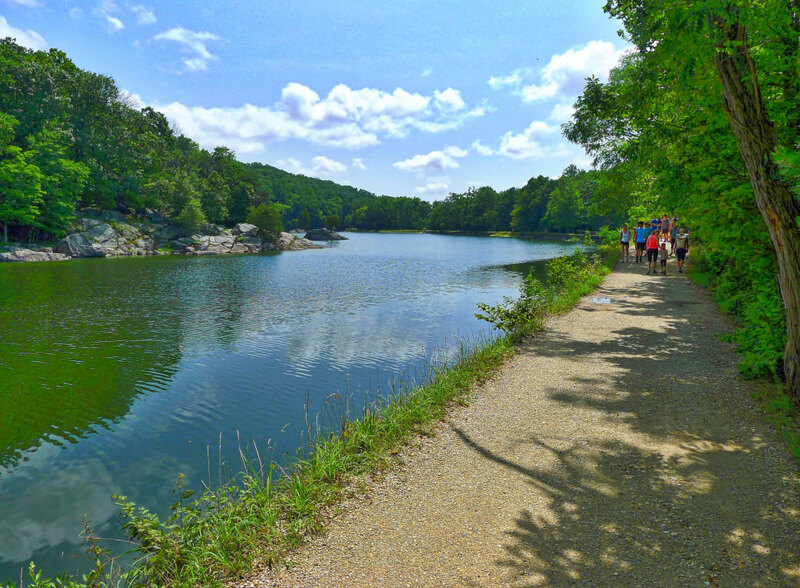 The former trail used by donkeys to pull canal boats down the river is one of the most beloved attractions in the Mid-Atlantic, with panoramic views of Great Falls and hikes like the Billy Goat Trail, which involves seven miles of cliff scaling and rock scrambling. Of the three sections of the Billy Goat Trail, section A is longest and most technical, B is strenuous, while C is the least difficult. No pets are allowed due to the steep slopes and hazards on this trail, and because it’s so popular, it’s best to try to hike it early in the morning if you prefer fewer crowds. Coincidentally, the C&O Canal was also envisioned by George Washington, and required more than 50 years to build. It's a hard to imagine what life would be like without this cherished towpath used by hikers, bikers, and dog walkers every day.